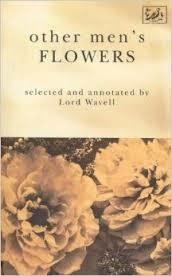 I’ve just bought another poetry book, Other Men’s Flowers by A P Wavell which is an anthology of poetry from many sources. I’ve dipped into it already and it has some good lines. I’m going to use some of this material for my on going video project to inspire and shoot more short poem video pieces. I’ll update here when I’ve settled on another poem to work with, matching words and images is always rewarding!